We asked a few designers, marketers, and advertising professionals who’ve worked with UCreative to give us their recommends. These books and compilations range from fresh releases, to classic tomes. Graphic design is a wide and increasingly specialized field, so we tried to keep recommendations as general as possible. There are hundreds (ok, maybe just dozens) of truly great design books out there, so please give us the title of your recommended books in the comments. If you want to buy a copy of the book, click on the header or images below. Pentagram’s Michael Beirut is one of the most followed designers of the past generation, thanks to his relatable stories and communications style. All the chapters illustrate problems, processes, and solutions in a logical, easy-to-understand manner. This tome is sure to be a modern classic. How to Be a Graphic Designer Without Losing Your Soul is a must-read not just for designers, but also for anyone who needs to work on commercial art and design. It’s not heavy on specific things designers must do. Rather it takes a more holistic, philosophical approach that works for nearly every designer or commercial creative worker. Simon Garfield lays out the history of typefaces and fonts, focusing on populare ones such as Helvetica, Gill Sans, Arial, and Akzidenz Grotesk. His love for fonts is evident in his writing style, and his exposition of the history, technological constraints, and emotional responses associated with fonts is engaging even for a layperson. Don’t let the rather played-out design on the cover fool you. This is one of the better reference guides for color, shape, and visual rhythm on the market. A must for illustrators. While not as organized as other designer reference books, it contains a wealth of tips, technical specifications for different media, historical perspectives, specific advertising and marketing applications, and many more. It also covers intellectual property topics and project management — topics most graphic designers don’t know enough of. Thirty artists provide their insights on illustration by hand, specific to their personal styles. Contributors include Catalina Estrada, Genevieve Dionne, Melvin Galapon, Caroline Hwang, Steven Harrington, Johanna Lundberg, Miles Donovan, Stephanie Dotson, Peter Callesen, AJ Fosik, Richard Saja, Ian Wright and many more. Illustration Play takes you through their processes with interviews and photsets showcasing their works and spaces. Graphic Design Visionaries chronologically features 75 influential designers, laying bare their life and times, and how they continue to influence their field today. Unlike many other similar books where the text is just fluff to fill out negative space, Graphic Design Visionaries is a pure joy to read, as well as merely look through for the incredible images. Yes, it’s very UK-centric, but you’ll be hard pressed to find something better if you want to build your own magazine, or at least go into publishing. It comes with 12 different covers, though all contain the same content. Pentagram is an absolute giant in the graphic design field, and and the many popular brands featured in this collections are testament to that fact. Around 400 brands are featured, providing inspiration for designers on branding projects. Peter Saville is best-known for his record covers for Joy Division and New Order, but he’s also done many famous advertisements in the fashion world. He’s influenced several generations and a lot of design work these days is directly influenced by his aesthetic. His work remains fresh -and dare we say hip – to this day. Sagmeister transformed these sentences into typographic works, from billboards in France to sign-toting inflatable monkeys on the streets of Scotland. Essays from design historian Steven Heller, Guggenheim chief curator Nancy Spector, and UK psychologist Daniel Nettle, and of course Sagmeister round out the contents. This book can be manipulated to have 15 different covers! Alan Fletcher explores perception, color, pattern, proportion, paradox, illusion, language, alphabets, words, letters, ideas, creativity, culture, style, aesthetics and value in his own way. The Art of Looking Sideways has a more philosophical than practical bent to it, but is still something worth reading and re-reading. This classic has inimitable Paul Rand speak his mind on graphic design. Rand sheds some light on what creating a strong design entails and what it doesn’t. He attacks trendiness and echo chambers so prevalent in the contemporary design world that you often forget this book was written two decades ago. The design portfolios Rand includes are also a delight and wonder to behold. Becoming a Graphic and Digital Designer is a classic guide to the options available to those pursuing a graphic design career. Focuses on portfolio requirements and job opportunities, this is indispensable for any design student or aspiring freelancer. You may have seen Ben Tallon’s work on WWE, Channel 4, The Guardian, Russell Brand, UNICEF, Manchester United and The Wall Street Journal. What you probably don’t know (or care about– yet) is how he managed to work for those institutions. Champagne and Wax Crayons is a hilarious yet sobering look at how he ended up at the top of his industry. Computer Arts, net, 3D World and Creative Bloq. Created by the makers of Computer Arts, net, 3D World and Creative Bloq, this annual compilation covers several creative fields, including graphic design, branding, illustration and motion graphics. 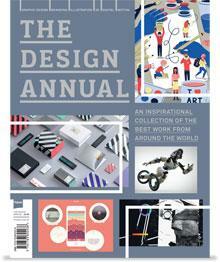 This annual compilation is a good way to stay updated on contemporary design. More than 1300 logos are grouped according to their focal form, symbol and graphic associations into 75 categories. Logos are presented logically, alphabetically by name of company/designer and by industry. This makes Logo an invaluable resource for any design agency. If you have to buy one book on this list, make it this one. Which other books would you recommend? Comment below! The post UCreative’s Graphic Design Reading List appeared first on UCreative.com. What Goes Into Creating An Effective Mobile Marketing Campaign?